As we approach the end of the year, there is an increased focus on our household budgets. There are many expenses associated with the holidays, and although our expenses increase, our income usually does not. 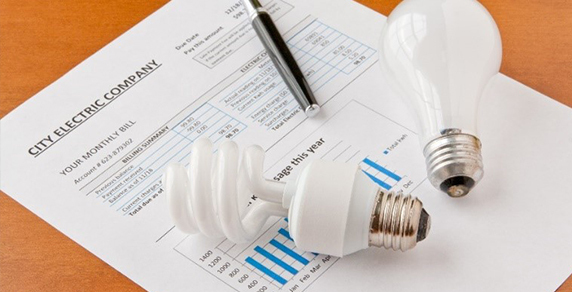 Unfortunately, our electric bills can increase as well, especially if you have an electric heating system in your home. Heating a home accounts for about 48% of your home’s energy bills each month. It’s not just the heat—those holiday lighting displays can add extra digits to our electric bill as well. We are also staying inside more, using more technology and appliances. Unless you want to live like a pioneer and read by candlelight this winter, we need to find some ways to decrease our winter electric bills in Northeast Ohio. Tip #1: Turn your thermostat down when you leave for work. If you can program it, that’s even better! But if you have an older dial thermostat, just turn it down 7 to 10 degrees while you are gone, and the house is empty. Energy.gov states that reducing the temperature by that amount will drastically reduce your bill for the winter. Tip #2: Turn your hot water temp down. Nothing feels better than a nice, warm shower or bath on a cold day. But if you can set your water temp at about 120 degrees, you’ll save money. Anything higher than that is unnecessary, and every 10-degree reduction in your water heater’s thermostat can save you 3 to 5% on your bill. Tip #3: Cover your windows if they leak. Areas like Chardon feature beautiful century homes, but the windows aren’t always the tightest and warm air can seep out through the cracks. It might not be visually appealing, but home plastic wrap kits can really help seal in the warmth of your home. Tip#4: Insulate your electrical outlets. Companies like Blue Collar Electricians can help you do this if you don’t feel safe. If you turn off the circuit breaker power before you start, you should be able to safely fill in the holes in your outlets and behind the baseplates. You should also put childproof plugs in the actual outlets to prevent cold air from making its way out into your living space. Tip #5: Think about using LED lighting when possible. This isn’t just about your everyday bulbs. You can save a lot of money around the holidays by decorating with LED lighting versus traditional bulbs. Any savings will help, so this is an easy way to put some money in your pocket or under the tree rather than sending it to your electric bill. 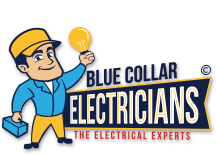 Blue Collar Electricians can help you save money this winter. Have us come out and do a home inspection to look for ways that we can help you be more efficient and save money! Don’t wait until the snow flies; contact us today to start saving money!